Helianthemum nummularium is the common yellow flowering 'Rock Rose' or 'Sun Rose' a matt forming ground cover or small shrub well suited to rockeries. 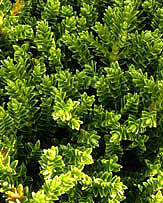 These plants are an excelent ground cover and are grwon for the masses of flowers from spring through summer. 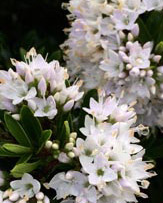 The flowers are reasonably large, up to 5cm across, and as these plants grow in poor soil they are a great flowering alternative to some other solutions. Low growing and spreading, yet not invasive. Spreading over around 1m and reaching a height of 30cm, Helianthemums have come a long way over the past 20 years. More colors, double and semi double flowers and over 150 cultivars. 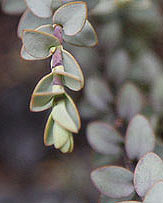 They are also known as Frostworts, and this is to do with the silvery foliage. Helianthemum 'Wisley Pink' and 'Raspberry Ripple' are both very popular cultivars in the UK. Helianthemums do not require a lot of care, they can be pruned back after flowering in summer to maintain shape, or simply pinch back to create a more bushy plant. Dry to well drained soil. 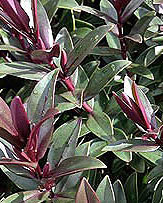 Plants are readily available for sale from mail order nurseries. We are a unique & beautiful garden on the shore on Loch Ness. Our woodland garden has several acres of winding paths, creative plantings and stunning views over the Loch. The selling nursery holds many hardy unusual plants, a treasure trove of shrubs & perennials. We specialise in primulas, auriculas, sempervivums and helianthemums.